Queen Sized Bed Archives | Page 2 of 12 | King Rentals, Inc.King Rentals, Inc. This beautiful home is situated just off of scenic Indian River Drive is your private tropical paradise! Step into luxury with a large backyard, swimming pool with in-ground spa, screened gazebo, tiki bar, large deck, lush tropical landscaping, and a koi pond. 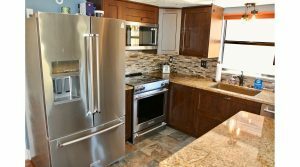 Inside, the spacious full kitchen has an island with a built-in cooktop and more. Enjoy two living spaces with a great room and formal living room, two full baths downstairs (one with outside access from pool); upstairs are two more full baths and the bedrooms (two bedrooms have flat screen TVs). The master suite has has a private bath with a walk-in shower, a dry bar, and access to a private balcony. 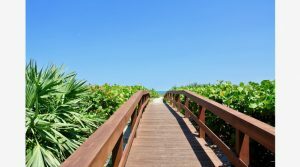 Conveniently located near the Beachline with easy access to the beaches, Port Canaveral, local amenities, and just a short drive to Kennedy Space Center, Orlando, and Melbourne areas. 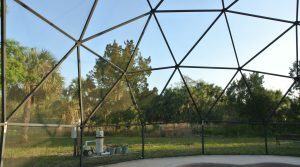 This unique home is situated on over an acre of land and is located in at the end of a secluded and private Canaveral Groves street. Ultra modern lines, engineered to be completely maintenance free, super energy efficient and boasts of open areas, high ceilings, modern sky lighting, master bedroom on second floor, a private balcony overlooking the screened private freeform pool, marble, ceramic tile accents to the ceiling, modern, easy flow kitchen, propane cooking, double ovens, kitchen island, stainless steel upgraded appliances, separate computer room, second floor private bonus room with split air A/C, so the whole family can be comfortable. 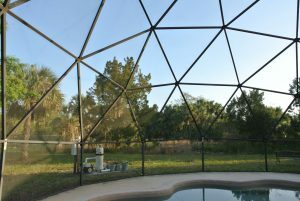 Perfect for long-term business travelers, temporary housing for relocation, or vacationers looking for a unique place to stay and explore the Space Coast, Orlando, and Central Florida. 113 Columbia Dr is a modern townhouse with all the comforts of home and convenient access to local amenities. 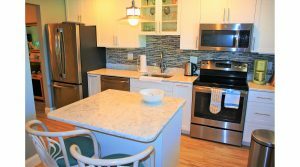 With 2 bedrooms, and 2 baths, this unit is perfect for both vacation and business travellers. Enjoy a private, fenced in back yard with your very own tiki bar and hot tub. 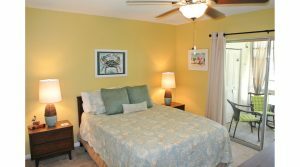 Located conveniently near Port Canaveral and easy access to beaches, area amenities, shopping, dining, entertainment, surrounding Space Coast areas, and just a short drive to Kennedy Space Center, Melbourne, and Orlando.